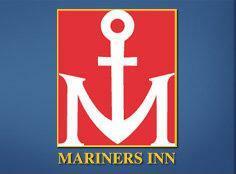 Mariners Inn serves as an anchor for those struggling to navigate the treacherous waters of homelessness and substance abuse through a wide range of social service programs that achieve the best possible outcomes for adults, families and youth affected by addiction. Mariners Inn provides 24 hour residential substance abuse treatment for adult homeless men of Southeastern Michigan, in a professional, compassionate, therapeutic environment conducive to reducing their problems of drug and alcohol addiction, thereby promoting their return to health, independence, and increased self-worth. At Mariners Inn we are dedicated to helping homeless men, seeking to be free of addiction, live independent lives filled with dignity and purpose. Founded in 1925 by the Episcopal Diocese of Michigan, Mariners Inn is a nationally acclaimed, licensed, full-service treatment center providing substance abuse treatment, shelter, and supportive services to Southeast Michigan’s homeless men. Mariners Inn holds the most prestigious three-year accreditation through the Commission for the Accreditation of Rehabilitation Facilities (CARF), is licensed to provide integrated treatment, and is one of Detroit’s premier treatment providers.